Theme from the movie "M.A.S.H." Death by suicide is never a pleasant topic. In 2010, in the United States there were 38,364 reported suicide deaths. This makes suicide the tenth leading cause of death, with a rate of 12.4 per 100,000 population. Many of those who take their lives do so in order to escape the mental anguish of coping with daily life. They often state that life no longer has meaning. Their drive and will to live are constantly being challenged by “demons” that are impossible to ignore. Those who die by suicide frequently have an associated depression, that is accompanied by an intense psychic pain. An anonymous source once stated that suicide happens when the mental pain of living outweighs the fear of dying. Most suicide victims complete the act in a solitary fashion, away from crowds or special places. A minority, however, want their final act have some significance and seek out famous sites and landmarks that can facilitate their deaths. Such landmarks are sought because of their high visibility and notoriety, experts say. "There is a certain appeal to committing suicide in a place of significance — a romanticism that goes along with it," says Sandra Sanger, a psychologist in St. Paul. "There is also a collective sense of connection with other people in these last moments right before suicide occurs.” (http://usatoday30.usatoday.com/news/nation/story/2012-05-23/suicide-landmarks-niagara/55170340/1). Alan Berman, executive director of the American Association of Suicidology, calls such places "suicide landmarks." "There are sites around the world that, primarily because of media publicity, become known as where someone goes to die by suicide," Berman says. "The magical thinking involved in their mind is that 'I will get all of this attention by engaging in a public suicide.' " Yet some victims are not seeking to go out in a “blaze of glory.” Rather, choosing a famous site has some personal significance for them. They will sometimes travel considerable distances from their homes for the sole purpose of ending their lives in a particular place. Notable landmarks for suicide attempts worldwide are the Eiffel Tower, Beachy Head in Southern England, Mt. Mihara and the Aokigahara forest in Japan, and the Nanjing Yangtze River Bridge in China. These are but just a few such places. In the United States, sites frequently used to commit suicide include the Golden Gate Bridge in San Francisco, CA, Niagara Falls, the Empire State building, the George Washington Bridge in New York, and Hoover Dam. Other lesser known sites reported are the space needle in Seattle, Washington, and the Sunshine Skyway Bridge in Florida [120 suicides since 1987] (Desert News, July 29, 2012) (Daily Sparks Tribune July 27, 2012). 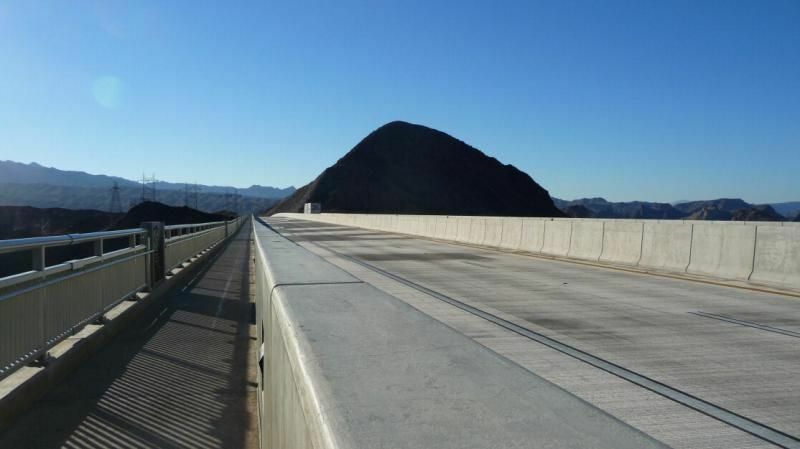 A recent addition to this listing is the Hoover Dam Bypass Bridge (Mike O’Callaghan–Pat Tillman Memorial Bridge). The Hoover Dam and the bypass bridge (HDBPB) are world renown for their architectural beauty and engineering excellence. The top of the dam is located in a deep gorge and is 720 feet above the Colorado River. The bridge, is located 1500 feet downstream from the dam and is 200 feet higher. The Bureau of Reclamation, as would be expected, is reluctant to discuss the issue of suicide. 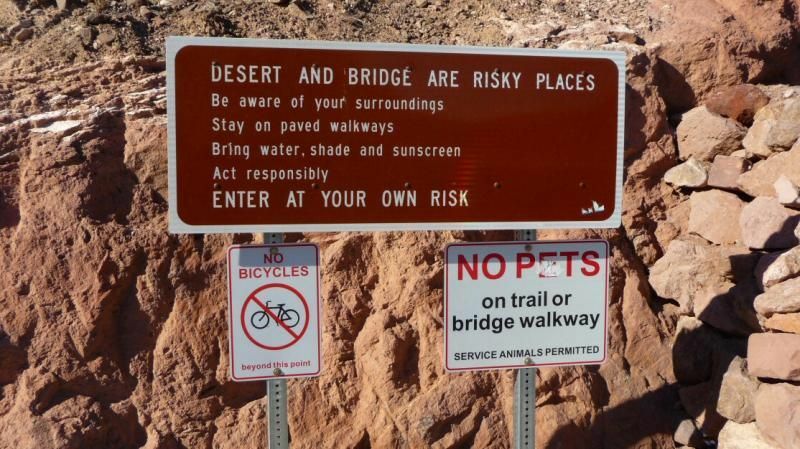 First, suicides represent bad publicity for the dam, a site frequented by tourists looking for something interesting and pleasurable to do during the daytime to escape the vices and excesses of the “Strip“ in Las Vegas. Also, the Bureau hopes that by downplaying such occurrences, it will discourage others from seeking out the area for the sole purpose of ending their lives. The officials at the dam have gone so far as to state that they do not know how many people have jumped off the dam, and that the Bureau does not keep records of such events. This seems unreasonable since the administrators of the dam must surely have to submit quarterly and yearly reports covering all activities that take place at the dam. In tacit compliance with the Bureau’s line of reasoning on this matter, the local Las Vegas news media has in the past only given passing notice of suicides at the dam, and follow-up reports are sketchy at best. So, then, what do we know about the prevalence of suicide attempts at Hoover Dam? Ask a tour guide or spokesperson for the Bureau and they will state that it is rare, numbers are vague, or that they are not allowed to share such information. An unnamed source stated that since 1936 when the dam was completed and open for tours, approximately 100 people had perished by suicide. Another official places that number in the “20’s. (LVRJ October 20, 2000) A Bureau representative is quoted as saying that the dam has seen 35 deaths from 1962 to 2010 (LVSun Nov 29, 2010).In 2004, a regional security manager stated that there had been 30 deaths by suicide since the dam was completed. The last reported death occurred in October 2012. Based on these numbers, suicides at the dam itself are relatively few. Compare the number of suicides at the dam to other sites such as the Golden Gate Bridge, where since its 1937 opening, more than 1600 documented deaths have been recorded. This is felt to be a low figure, since it is likely that many more people have jumped, unwitnessed, from the bridge and their bodies never recovered. Officials at Niagara Falls have reported on average about 20 suicide deaths each year. The HDBPB opened in October 2010. It has a pedestrian walkway that allows visitors to walk across the entire length of the bridge. This allows for heretofore unobtainable enface views of the entire south face of the dam. Due to the bridge’s more recent history and this era of aggressive news reporting, the bridge offers a better model for accurate documentation of suicide attempts. For the first eighteen months after the bridge opened, there were no reports of suicide. Then starting in April 1912 there was a series of four suicides over a three month period. The last known suicide was in May 2013. Thus far, six people have decided to end their lives by leaping from the bridge. 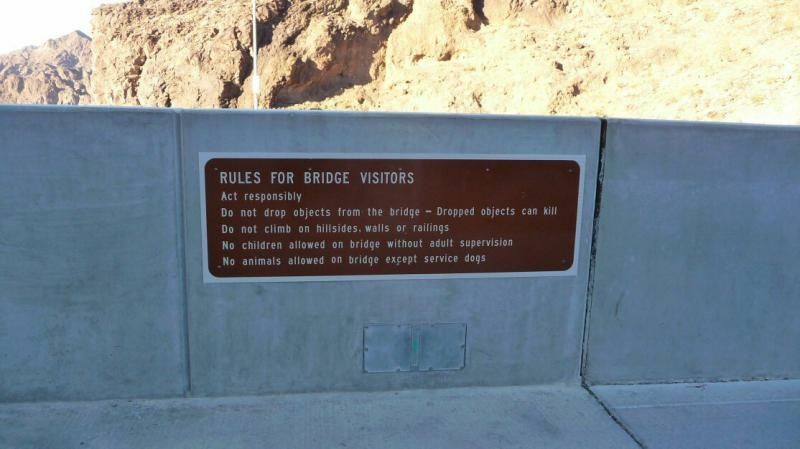 It has always been the intention of the Bureau of Reclamation that visitors should enjoy their stay at the dam, and now the bridge, to the fullest. For this reason, in spite of occasional suicide activity at the dam, there has been no effort to place barriers or safety nets on the top edge of the dam which would mar the viewshed on either side. Then too, the very presence of such precautions would likely evoke alarm and fear in those who are out for pleasant tour. Due to a rash of suicides at the dam in the year 2000, dam security personnel were given training in suicide prevention and intervention(Breen, H. LVRJ Apr 9, 2012-http://www.reviewjournal.com/news/nevada-and-west/woman-dies-jump-ocallaghan-tillman-bridge). They have aggressively responded to potential suicide attempts, often effectively. The Bureau has also stated that any physical changes to the dam would have to conform to National Historic Register standards, and must allow the public as much access to the dam as possible. With the new threat of suicides at the bridge, the question came up again as to why there are no safety nets, barriers, or emergency phones on the bridge. In fact, this very concern was an issue in planning for the bridge and the pedestrian walkway. Preventive measures were discussed. Precautions taken at other sites such as the Golden Gate Bridge were considered. Security cameras, bike patrols, and suicide hotline phones were installed at the Golden Gate. In 2008 placement of nets under the bridge to catch jumpers was approved, but as of yet, has not been funded. It was, and is, the opinion of NDOT (Nevada Department of Transportation, that oversees the bypass bridge), that suicides will happen no matter what precautions are taken, and that no immediate plans were being made to modify the bridge. 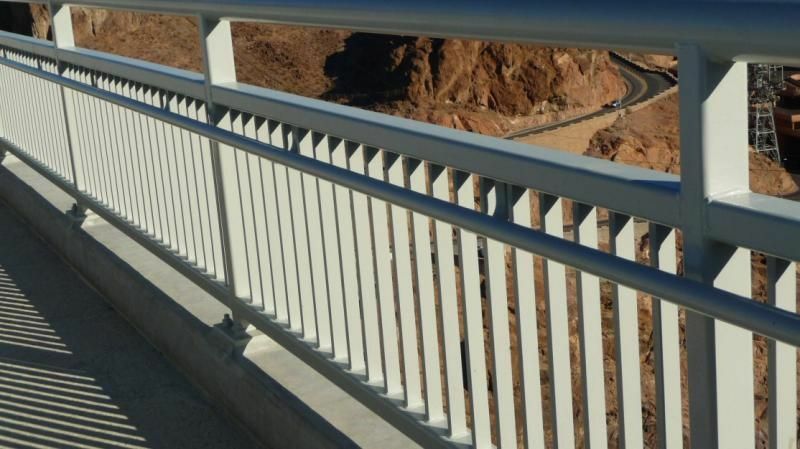 Many believe that those who are determined to commit suicide, if deterred by barriers on one structure will eventually find another means of killing themselves(Breen, H. LVRJ Apr 9, 2012- http://www.reviewjournal.com/news/nevada-and-west/woman-dies-jump-ocallaghan-tillman-bridge). Not so says Dr. Richard Seiden, a behavioral scientist at the University of California, Berkeley. In his study of 500 potential jumpers pulled away from the railing at the Golden Gate Bridge, 94% were still living three decades later or died of other causes. Of 30 people that he followed who had jumped and survived, only three later took their lives (Suicide Life Threat Behav. 1978 Winter;8(4):203-16). Previous suicide magnets — the Empire State Building, Sydney Harbor Bridge, the Eiffel Tower, and the Mt. Mihara volcano in Japan — have all installed barriers, which have resulted in dramatic reductions, in some cases to zero, in the number of desperate people who are inclined to jump from these sites. The walkway measures six feet across. There is a concrete wall separating the bridge roadway from the walkway that is 4’ 6 3/4” high. The railing facing the dam is 4’7” high. The railing has vertical metal slats that deny passage to even the smallest of human forms. There is a raised concrete base in which the railing supports are anchored. This concrete border reduces the height of the guard rail by 8 inches, such that if one seeks to climb over the rail by first stepping on the concrete base, the overall height of the railing is then reduced to 3’11”. Also, additional aid in climbing the rail is provided where the railing abuts horizontally on concrete forms containing informative plaques. Clearly both men and women intent on ending their lives have not had any trouble scaling the guard rail. On my visit to the bridge, I arrived very early in the morning to an empty parking lot and walkway. As I gazed down the seemingly endless walkway an eerie feeling came over me. As I stopped to peer over the railing to the raging waters of the Colorado River 900 feet below, I felt an indescribable pull of the river calling to me from below like the Sirens of Sirenum Scopuli to Ulysses. Even though I was out there for the sole purpose of gathering information, and not to come into harms way, I intermittently looked both ways to be certain that some phantom was not racing towards me with the intent of pushing me over the railing into the abyss. I then continued along the bridge and photographed every available sign, but none warned against suicide. Is the unobstructed “view shed” for the convenience of tourists and the historical landmark purity more important than saving lives? This issue remains to be determined.